THE departure of Barnaby Joyce as Nationals leader at the end of February this year was unusual for the junior Coalition partner. The Nationals do not change leaders often and for more than a quarter of a century it has always been in the most happy of circumstances. Leaders retire on good terms and there is a cordial transition. Joyce left after almost a month of controversy following the revelation about his marriage break down and his affair with a former staffer, Vikki Campion, who was by this time pregnant with a son. He left reluctantly and with bitterness, including a seething grudge against Prime Minister Malcolm Turnbull. His replacement was Michael McCormack, a New South Wales MP who had a mild manner and low profile. McCormack has been a fairly safe pair of hands as Nationals leader but he has not yet developed the cut through of Joyce, the stature of John Anderson or the folksy charm of Tim Fischer. He's been more in the mould of Mark Vaile and Warren Truss. 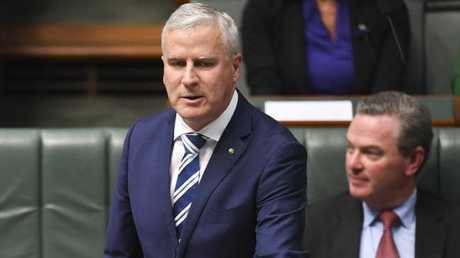 McCormack tried to make a splash soon after becoming Nationals leader and Deputy Prime Minister, taking the opportunity when his deputy moniker became "acting" to say the May Budget would be an early Santa Claus event. Treasurer Scott Morrison slapped the new boy down and McCormack had a quick lesson in A-grade media management. When McCormack took the leadership he had scant opposition - from Queenslander George Christensen - but it might have been different story. 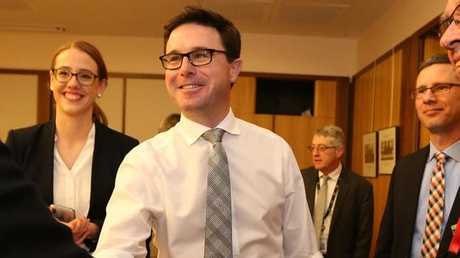 Another Queenslander, first term MP David Littleproud, was being urged to run and considered it up until less than 12 hours before the party meeting. He was told the vote would be close with one estimate putting Littleproud within one vote of McCormack. Now, just over five months later, many Nationals MPs are wondering if they made the right choice and if they might have been better served by Littleproud. Littleproud is a much better media performer, he is a skilled advocate of government policy who has a strong grasp of his brief and he has a reputation as an outcomes-focused problem solver. He managed to secure a deal with the Senate cross bench in February to set up the Regional Investment Corporation and a few months later he did a deal on the Murray Darling Basin plan with Labor, proving he could achieve bipartisan support on issues. The other thing about Littleproud and the reason people are playing a "what if" game is that he's a Queenslander. 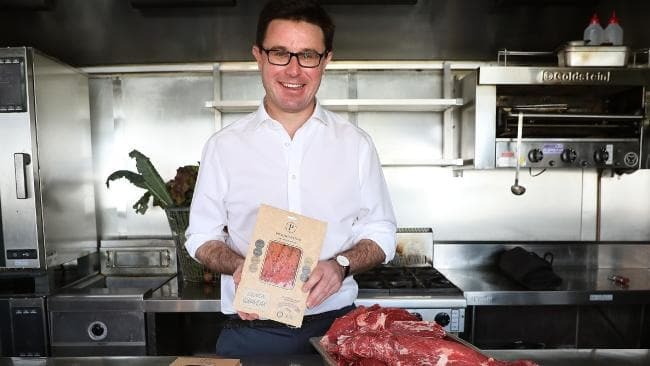 Holding the sprawling seat of Maranoa, having taken over from Bruce Scott in 2016, Littleproud looks like a modern Nationals MP despite having a more corporate background as a mover and shaker in agribusiness. Littleproud knows Queensland and is easily relatable as someone who has the interests of this state at heart and is in tune with the concerns and aspirations of people who live here. 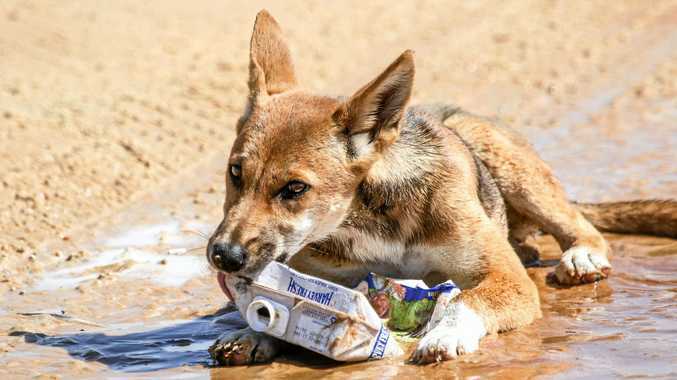 With the LNP in Queensland looking for ways to recover its support - shown to be at a dire level at last weekend's Longman by-election - they might be better off with someone from this state who has a profile and is here to campaign on much more regular basis. If Littleproud was leader he could use that mantle to travel the state and sell his party and the Government. The most common criticism of Turnbull after the Longman disaster was that the PM didn't "get Queensland", a point echoed by Joyce in his assessment of what happened in the by-election. Remarking on One Nation's 16 per cent vote share in Longman, Joyce called this a big wake up call. "This is because Pauline Hanson is defined as Queensland, and the Labor and Liberal leaders are not," Joyce wrote in a post mortem of the by-election result. McCormack works hard but he cannot devote the time to Queensland someone like Littleproud would be capable of doing. Littleproud would also be a good partner for the Nationals deputy Bridget McKenzie, offering a younger, attractive leadership team. Of course, these "what if" questions are just that and McCormack is safe in his job. He'll not only lead the party to the election but will probably stay there afterwards, even if the Coalition loses. Nonetheless, Littleproud has positioned himself as person most likely to be the next Nationals leader. As a senior party member he will play a key role at next year's federal poll and if he can help minimise losses in Queensland he'll have a lock on it. Dennis Atkins is The Courier-Mail's national affairs editor.